For those of you that didn’t hear the exciting news, it looks like our family is getting a bigger apartment. It’s the best of all situations- the apartment is across the hall from our current one (easiest move ever! ), there is an second bedroom (Henry will have his own space! ), and we’ll be able to house our wonderful visitors (yay! more visits!). Plus, the kitchen has been renovated with granite counters and maple cabinets (no more linoleum!). 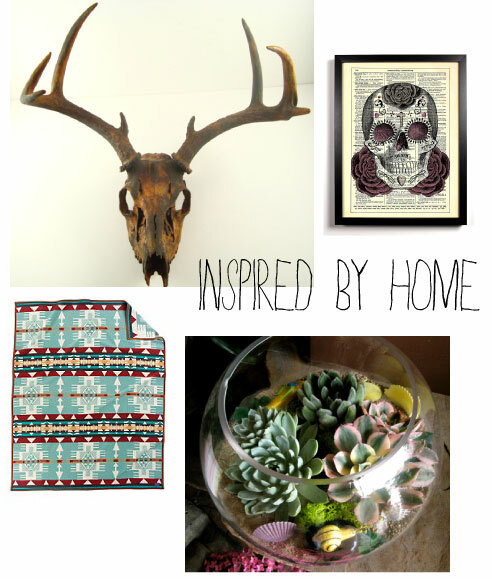 We’re super excited about it and I’ve been thinking non-stop about decorating our new space. This is such a great opportunity to stop living like grad students, chuck our cheap-o IKEA furniture and to upgrade our furnishings a bit. It’ll be the great purge of 2011. Bye-bye junk! See ya later old, never used stuff! Becca and Deron are moving up in this world! But the big decorating question is… what do we replace our old stuff with? What do we (okay I) want our new, more mature apartment style to be? I have so many ideas and I can’t decide on just one direction. So I thought that I would just tell you guys about them. Maybe one will stick. 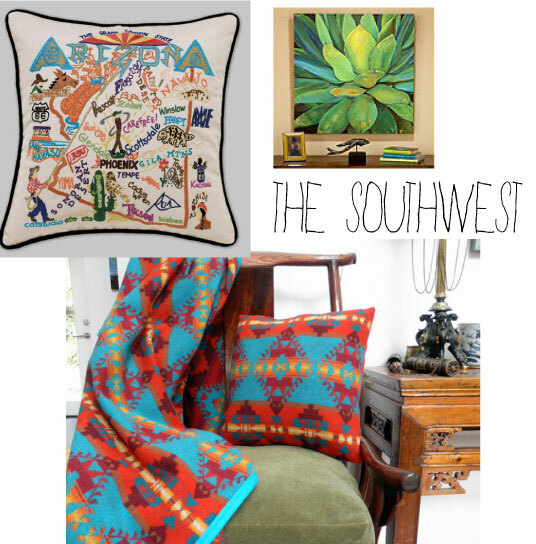 This theme reminds me of the desert sunsets, mountain vistas, Native American imagery, and warmth of my childhood. There is something so comforting about that. More apartment inspiration coming soon. Day 4 complete. 26 days to go. Married to a wonderful husband. Mommy to a happy baby boy. Luckiest girl ever!